One of the main fabrication stages of the majority of details - processing of metals cutting. Various cutting tools which sharpness of the cutting edge needs to be maintained constantly are used to performance of such operations. 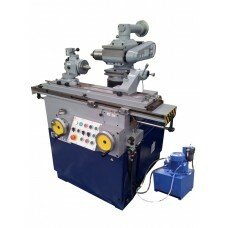 The universal tool-grinding machines offered by our enterprise are suitable for the solution of this task. 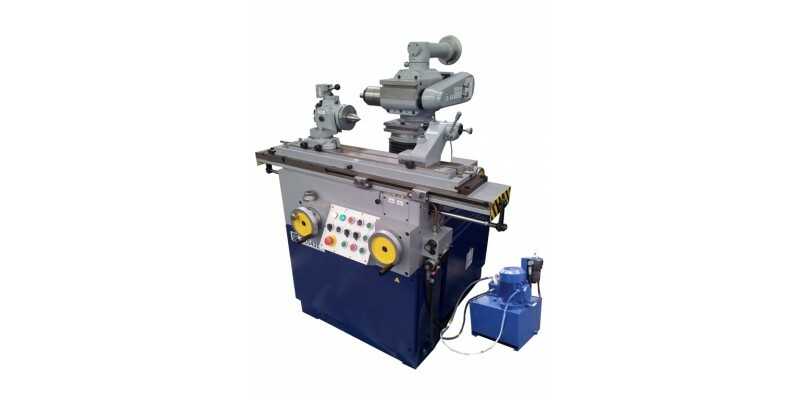 The universal tool-grinding machine 3E642E is developed on the basis of model 3Е642 and in addition equipped with the hydraulic drive of longitudinal movement of a table. By means of a big variety of extras on the machine it is possible to carry out sharpening of practically any cutting tool, to carry out sharpening on the copier, sharpening on a spiral and radius, and also to carry out round and flat grinding. The machine is executed on the basis of a pig-iron cast bed that allows to increase processing accuracy due to decrease in fluctuations. The rotary table is fixed on the basis by means of roller guides and can move in the longitudinal direction by means of a flywheel or from a hydraulic cylinder. The carriage from the columned grinding grandma is installed on the directing beds and intended for the vertical and cross shift of a grinding wheel. The carriage is equipped with the mechanism of thin cross giving. Controls of the carriage are placed in such a way that allow to carry out her movement from side jobs. The column with the grinding grandma has a possibility of turn on 360 ° in the horizontal plane, on 20 ° counterclockwise and on 40 ° clockwise in the vertical plane, and also is equipped with the rise mechanism. Rise can be carried out manually or by means of the electric motor. A set of mandrels for fixing of grinding wheels with a diameter from 63 to 150 mm of different profiles with a diameter of landing openings from 20 to 32 mm and a set of casings for circles with a diameter of 100, 125 and 150 mm is included in the package of delivery. The machine is equipped heat branch and SOZH with a productivity of 10 l/min can be equipped with system of giving.